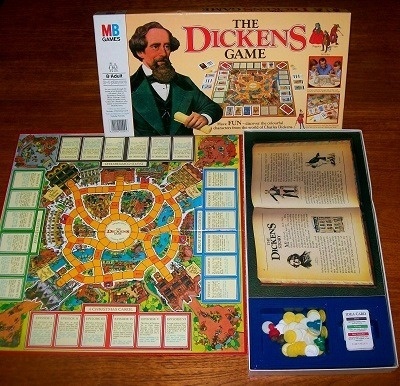 'THE DICKENS GAME' BOARD GAME: As you travel through the streets of London, you will meet a host of fascinating characters: Oliver, Scrooge, Uriah Heep and many more. Collect the characters who appear in your favourite Dickens story. This game is in complete and excellent condition throughout. The game box presents itself in very good condition and the biographical insert is immaculate. The game board - along with each and every card, playing piece and counter - is flawless.